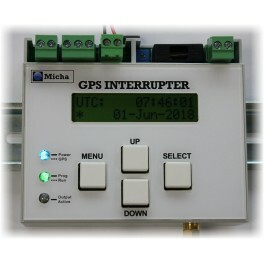 DIN-rail mounting GPS synchronised programmable interrupter. 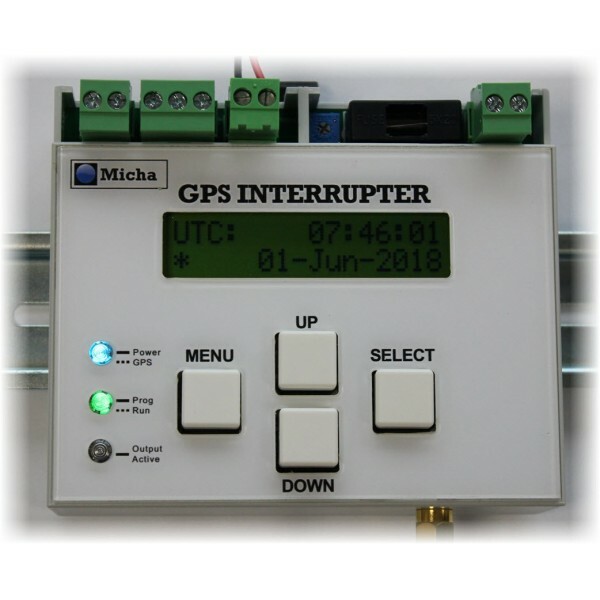 The Micha GPS Interrupter Module is designed to interface directly with the Micha range of CP controllers, and can also be used as a stand-alone, programmable interrupter with other equipment. Two outputs are available; an optically isolated switch rated at 70V/50mA, and a MOSFET, rated at 100V/2A.